As disciples of Jesus, we don’t go to church; we are the Church. We are the body of Christ sent into the world to be disciples who make disciples of Jesus in the everyday stuff of life. We created the Saturate Field Guide to serve in equipping you, together in community, to understand the implications of the gospel, how it works out in discipleship, and how your new identity leads to a whole new way of living together. 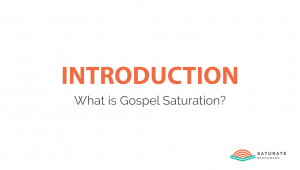 This nine part video series enhances and deepens the learning experience for groups using the Saturate Field Guide. 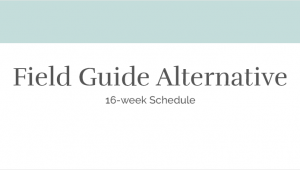 Week by week, Jeff Vanderstelt articulates and summarizes key ideas, themes, and principles as groups engage and process the Field Guide together. Additional concepts and training will enhance learning for groups as they move toward becoming a community centered on the gospel and on the mission of Jesus. 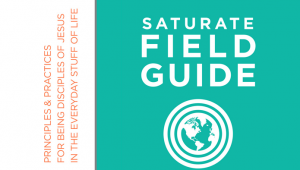 This is the trailer for the new Saturate Field Guide Series. If you enjoyed this video and would like to watch the rest of the series, click on the button to the right to visit our store. You can purchase videos individually or as a group. Please enjoy this free resource as an example of what’s available through our premium membership. New resources are added weekly; JOIN NOW and get full access to our entire library with your very own premium membership! **Please note that this is the trailer video for a series offered in our store, not through our membership. You can view the series for purchase here.